Listen to Me Brando might not offer much new information about Brando, but the thrill of the film is all in the delivery. Listen to Me Brando, like this year’s other festival standouts Kurt Cobain: Montage of Heck and What Happened, Miss Simone?, is an expertly assembled collage as Riley proves a wizard in the editing room by weaving the great actor’s thoughts and ramblings overtop of excepts of some of his greatest screen roles. Riley’s elaborate portrait of the star shows that few icons endure beyond their lifetime, but a star like Brando is irreplaceable. The film underscores this point by featuring a talking animated head of Brando that opens the film as Brando describes in voiceover that a team of specialists scanned and mapped his head for a computer program. Brando describes it as the future, but this depersonalized head contains none of the depth that Brando conveys on screen despite the words and features it shares with the star. The film puts Brando at the centre of his own ironic dramatic as it chronicles the personal heartbreaks he suffered, including a shooting at his Hollywood home for which his son Christian was charged. His daughter, Cheyenne, committed suicide five years later, and the film shows her death in Tahiti, Brando’s favourite escape after discovering it while filming Mutiny on the Bounty, as a sad tragedy akin to those Brando brought to life on the screen. Other episodes from Brando’s life get ample attention and show Brando as a man of many convictions. The controversial refusal of his Oscar for The Godfather as a statement against Hollywood’s poor portrayal of Native Americans plays out in full. While YouTube viewers and Oscar watchers are undoubtedly familiar with the image of Sacheen Littlefeather onstage at the Academy Awards, few film buffs probably know that Brando put his words into action by going onto the front lines with Native Americans to fight for their rights. The film draws also heavily upon Brando’s rugged image and lets the actor’s diary entries about his aggressive father create a character study for the ways in which we conceive of masculinity in both art and life. 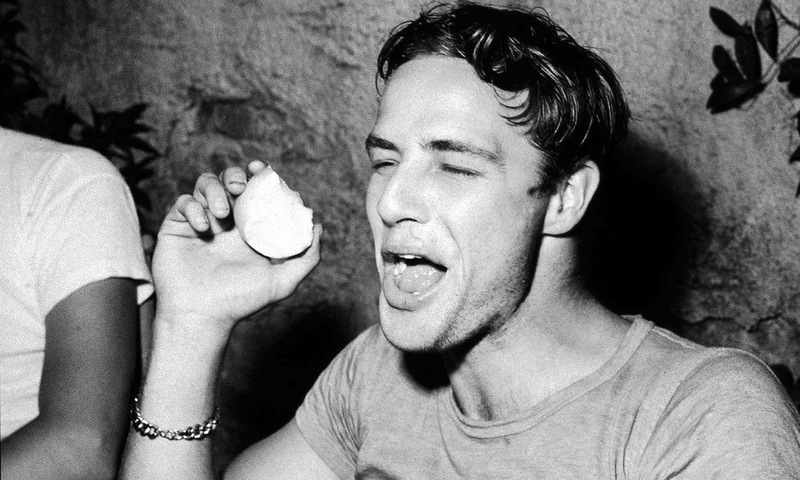 Brando has a sensitive side and the way he infuses reality into his performances by drawing from his experiences gives great insight into the invisible parallels between art and life that we see every day. The film fascinates as it puts viewers into the mind of the great method actor, for the film follows Brando’s own philosophy that an actor must become a character to portray him. The film contextualizes each of Brando’s roles within his approach to the art form, as excerpts of Brando’s filmography such as A Streetcar Named Desire, On the Waterfront, The Godfather, and Apocalypse Now chart Brando’s contribution to film with a range of iconic moments paired with the experiences that inspired them. The Godfather doesn’t receive as much attention as one expects it to, but Riley intuitively uses the death of Don Corleone as an image for Brando’s own death scene as his most iconic character dies not in a hail of bullets, but in a mundane moment that could be ripped from the life of any American. It’s a fitting image for a man who blurred art and life with a skill matched by few of his peers. Listen to Me Marlon creates one of the greatest essays on the screen performance ever put on film.